A new study names California as the most diverse state in the U.S., scoring a 70.89 on a 100-point scale based on six major criteria. California ranks as the most culturally diverse state in the country. A separate study released in the spring ranked Los Angeles and Long Beach among America’s 10 most diverse cities. The United States is a nation that was built on embracing diversity, and nowhere exemplifies this most American of principles more than California. That’s according to a new analysis from WalletHub, which ranks all 50 U.S. states for diversity on a 100-point scale based on six major criteria: socioeconomics, culture, economy, households, religion, and politics. The subcriteria that the company uses to measure diversity include factors such as educational attainment, generational mix, and range of industries and occupations. By WalletHub’s measures of diversity, California ranks No. 1 in the nation, with a total score of 70.89. Within the six major criteria, the Golden State is also No. 1 for cultural diversity and No. 3 for socioeconomic factors, which encompass household income and education levels. California has the highest level of linguistic diversity in the country. The state ranks second in America for ethnic, religious, household-size, and educational-attainment diversity. The Golden State’s ranking is also boosted by its economy, which WalletHub call’s the country’s third most diverse. And while California’s powerhouse of an economy is most often associated with the high-tech sector, a recent SmartAsset study found that the state’s fastest-growing industry between 2015 and 2016 was actually transportation and warehousing, particularly tourism transportation. 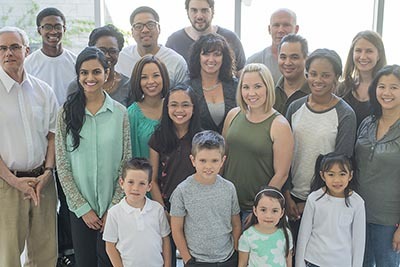 In a separate analysis released earlier this year, WalletHub ranked four California cities among America’s most diverse: Los Angeles (No. 7), Long Beach (No. 9), San Jose (No 16), and San Diego (No. 19). So why is diversity beneficial to American society? WalletHub asked a panel of professors, one of whom pointed out that a diverse society theoretically means a wider array of skill sets among employees, which leads to higher levels of entrepreneurship. Also, research has supported the idea that diverse populations tend to be more cohesive than those that are more homogeneous.